Hai Di Lao Tips: Essential Hacks That Will Save You Time, Money, And More! Hai Di Lao? Yes, you heard it. When it comes to this legendary hotpot establishment, tales abound. By now, you must have amassed your own encyclopaedia of “black market” Hai Di Lao tips to take your Hai Di Lao experience to greater heights. To add to your plethora of knowledge, we have gone undercover and infiltrated the depths of the Hai Di Lao world, right down to unearthing their new outlet in VivoCity! Today, we are proud to present our findings – Hai Di Lao tips that are 100% legit and guaranteed to work. To beat the queue, arrive very early… anytime before 5pm is fine. Preferably, call before you head down. Otherwise, you’ll be faced with a horrendous queue that’ll shock the living daylights out of you. Anytime from 10 pm is good, as the dinner crowd would be gone by then and Hai Di Lao is open till 6 am. To ensure that your table is ready by 10pm, call in early to take a queue number and let them know that you’ll arrive at 9pm. From Mondays to Thursdays, Hai Di Lao recommends calling to book 1 week in advance for dinner and 3 days in advance for lunch. From Fridays to Sundays, it’s best to book 3 weeks before. On the eve of public holidays and on public holidays, reservations are usually not allowed. However, depending on the queue, they may take reservations after 8pm or 9pm. Yes, that’s how cut-throat good food can be. Calling in to check and speaking nicely to service staff go a long way. No rules are the best kind of rules. To become a Hai Di Lao member, no rules against minimum spending exist. Neither do you have to dine there a minimum number of times. All you have to do is ask and accept the membership. Each time you dine there, you will chalk up points, which can be used to redeem gifts at no extra charge. Every $1 you spend entitles you to 1 point. The gifts change every 6 months, so snap up that Philips steam iron before it disappears! To get the most bang for your buck, be sure to request for thick (浓) soup base during refills. Otherwise, what you get will be a more diluted version of the original soup base. They’ll hand you a bowl of thick (浓) soup, but don’t pour it all in at once! Instead, you can adjust how thick and savoury you want your soup to be. If you believe that variety is the spice of life, Hai Di Lao offers 4 soup bases at virtually the same price, or even cheaper, as compared to that of 1 or 2 soup bases. The price of 4 soup bases also depends on your ultimate choice and combination of soup. Based on our experience, it was always cheaper or the same price as choosing 2 soup bases. Our favourite combi? Mala, chicken, seafood, and mushroom! Gone are the days when you were told, “No outside drinks allowed,” by service staff glaring bloodthirstily. Here at Hai Di Lao, there is no such rule against outside drinks. 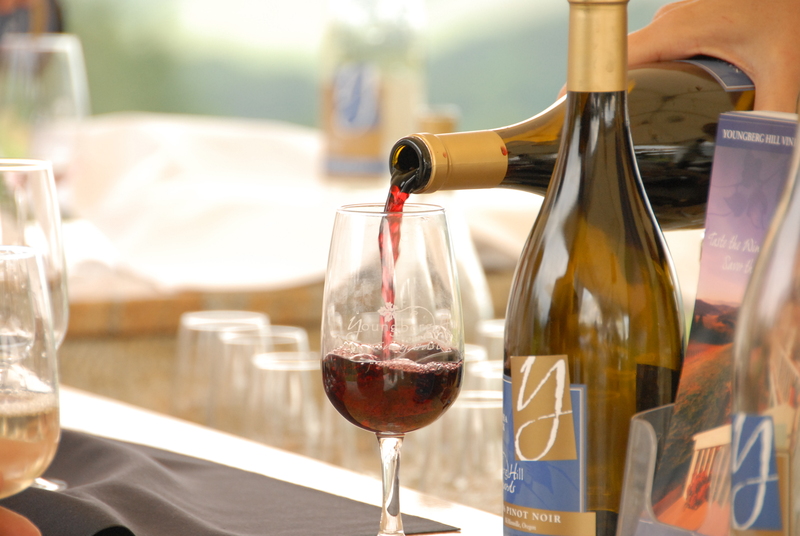 If you come with wine or alcohol, Hai Di Lao will even open your bottle and serve it to you and your companions, free of charge! Now, who’s up for a glass of spirits? 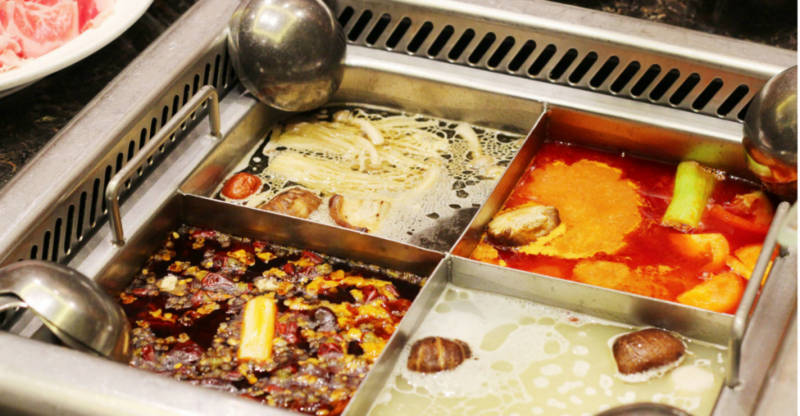 If you think germs and bacteria are creepy… or if your idea of fashion is a Hazmat suit, Hai Di Lao’s individual hot pots are perfect for you. At their restaurant in Somerset 313 and their newly-opened one in VivoCity, Hai Di Lao serves individual hot pots to diners who enjoy quality solitary time, or who do not eat beef, unlike their dining companions. Plus point? The queue is usually shorter for individual hot pots. Also, an individual hot pot is not only perfect for dipping, but also allows you to monopolise the entire serving of soup. Mmm, perfect for those who don’t like to share. Calling all puzzle geeks, Halloween isn’t the only time you can use your wits to earn treats. Hai Di Lao rewards those who can crack its brain bender… the Rubik’s cube. Well, it’s not exactly mind-blowingly difficult. But, it becomes somewhat an exciting challenge when you twist and turn your way to a free $6 dish. For those who are able to solve the Rubik’s cube while queuing, Hai Di Lao will award you a free $6 dish of your choice. Alternatively, if you have speedy hands and deft fingers, you could be the next Freddy Krueger try Hai Di Lao’s paper crane challenge. For every 30 paper cranes you fold, Hai Di Lao will reward you with a free $6 dish of your choice. Fret not if you do not know how to fold these cranes, the staff will teach you how! Congratulations, you have just discovered the hidden horror… and we’ll let you know how to overcome it. Not with a crucifix, but with your trusty ol’ ladle! The longer you boil your soup, the more concentrated it becomes. This causes the soup to become loaded with nitrates, fats and excess protein. That white film floating on the surface of your soup isn’t the trail left by the Loch Ness monster. It’s actually coagulated fats, nitrates and protein, which is no good for you. So, ladles up, and scoop away the white stuff! Who would pass up the opportunity of a free manicure? Not me! The good news is, Hai Di Lao’s renowned manicure services are redeemable. Should the long queue prevent you from getting your manicure before dining, all is not lost. Hai Di Lao staff will present you with a manicure card, which you can use to redeem a free manicure on your next visit – regardless of whether you dine in, or drop by just for a manicure. To beat the manicure queue, call to book your manicure slot in advance! This manicure reservation service is available only from Mondays to Thursdays. Regular queues for Hai Di Lao’s manicure services resume from Fridays to Sundays. After loading up on all that steamboat goodness, what’s next? At Hai Di Lao, you and your friends will be presented with a free fruit platter if any of you dine there on your birthdays. Should you wish to celebrate your grandma’s birthday there, the restaurant also offers a free platter of longevity buns to senior citizens on their special day. This is in addition to the small gift that Hai Di Lao will present to the birthday guest, and the birthday songs that they will croon in 3 different languages. A cracked phone screen is the ultimate nightmare for every phone user. This is why Hai Di Lao offers free phone screen protectors to keep your phone screens shiny and spanking new. Not just any screen protector, but tempered glass ones, and the staff will even help you apply it! At the moment, screen protectors are only available for iPhone 6, 6 plus, 6S and 7. With that, you may spot the reflection of yourself, with perfect clarity on your zhng-ed phone screen. Now that you’re armed with all these great Hai Di Lao tips, load up your ammo to massacre your next Hai Di Lao experience. Chopsticks, spoons, get set, charge! If you can’t get enough, check out where to get Hai Di Lao soup base!